Ferry Inn Riverside Pub and Restaurant, St Dogmaels. 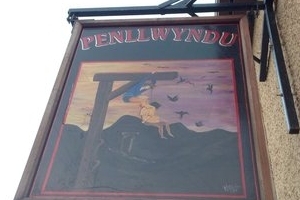 Voted one of the top 10 beer gardens in Wales. Penllwyndu is a bustling and unique Country Inn located in the Teifi Valley, between Cardigan and Newcastle Emlyn, Wales - it is one of the few remaining free houses in the area. The Ship Aberporth offers a lunch and evening menu. All food is freshly prepared and ingredients being sourced from local suppliers where possible. Well behaved dogs are welcome in the bar area.